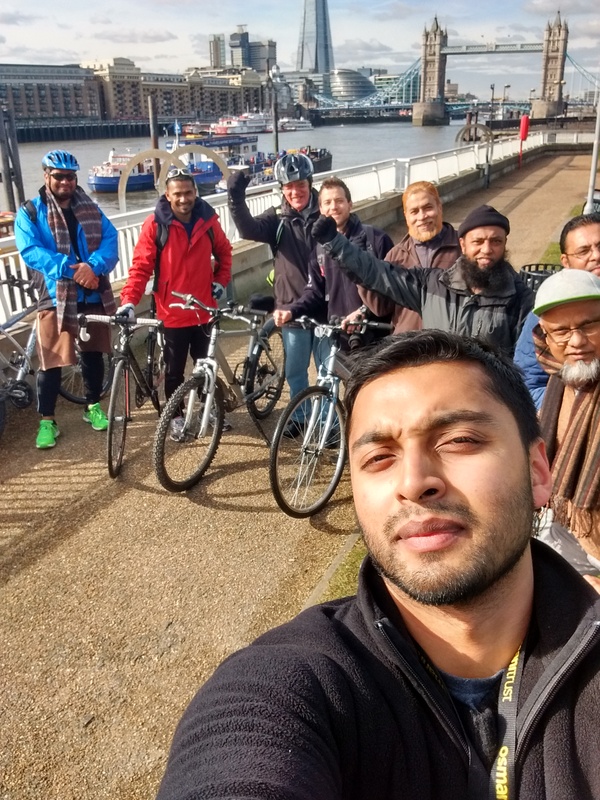 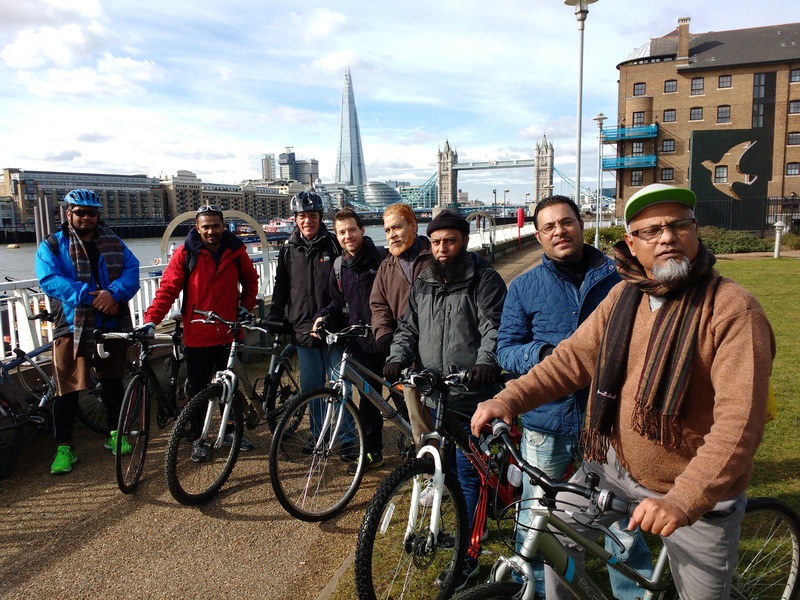 Our Health Trainers Alan Malia and Azir Hussain organised their weekly cycling sessions with clients, cycling through the city of London. 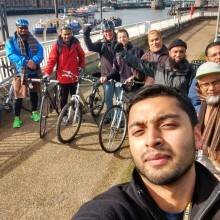 In total 9 people attended the ride which started at the Osmani centre and finished at Tower bridge. 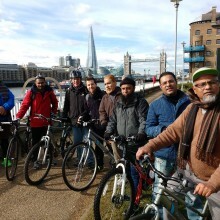 Alan and Azir’s chosen route took them through victoria park, along the canals, through Olympic park, to limehouse basin and finally on the embankment which lead them to Tower Bridge. 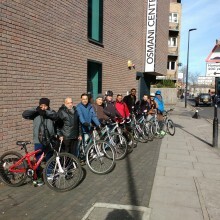 On the way back they took a quicker and more direct route along cable street and Whitechapel. 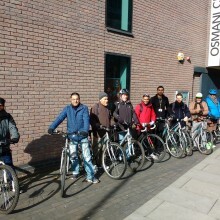 They ended the trip with a healthy low salt meatball Tangine with algerian rice and french bread. 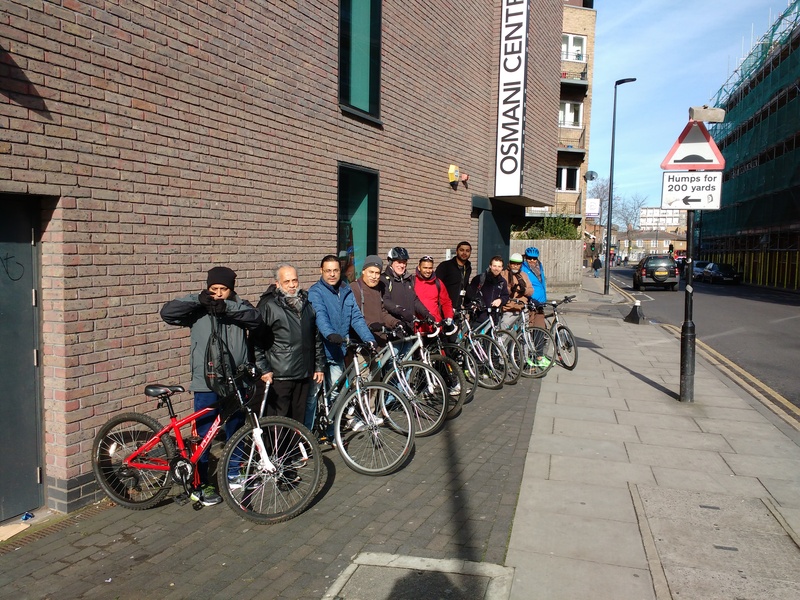 As they ate, they all had a discussion about healthy eating and ways they can all improve their own diet and reduce salt in their meals. 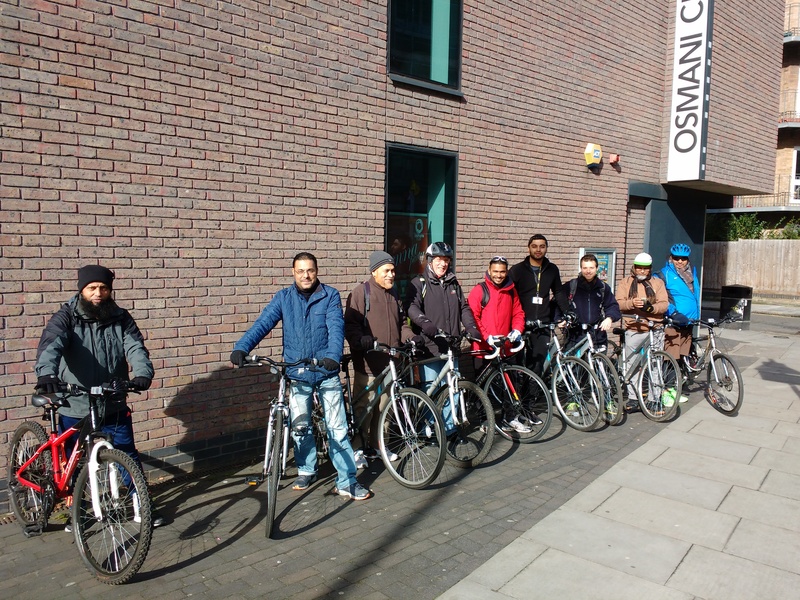 If you wish to take part in our cycling trip please give Alan or Azir a call on 0207 247 8080.